​Leadership Consulting. Lyne is a consulting psychologist and Master Professional Co-Active Coach (MCC) bringing a wealth of experience and expertise to her coaching and advisory relationships. Her diverse experience in the areas of behavior, assessment, organizational psychology, business strategy, and leadership team development provides alternative perspectives for business-based objectives and behavioral change strategies. ​Lyne has successfully worked with C-level executives and their teams to clarify business strategy, design infrastructure, and identify leadership behaviors to support their chosen strategy. She has been involved in succession planning and developed senior teams to help executives gain insight, growth and improve interpersonal communication skills. She is skilled at addressing group issues and process challenges that stand in the way of effectiveness. Using strong motivational skills, Lyne helps leaders gain insight and grow professionally by helping then align their leadership and their business goals. She believes that her clients can be effective in their work while enjoying meaningful, creative and authentic careers, and she strives to bring that to fruition in her coaching. Lyne enjoys working with high-performing, successful executives who are willing to take on their strengths and weaknesses as leaders. She focuses on building and co-creating relationships with her clients and has seen significant results from her work. Lyne is known for her tenacity, focus, and ability to help leaders understand both underlying issues and key strengths in order to create significant behavioral change. The coaching engagements are usually both exciting and effective. She has worked with executives from companies such as Academy Securities, Axis Capital, Aetna, Cisco, First County Bank, Liberty Mutual, Lincoln Financial, LVMH, Microsoft, SIAC and Webster Bank. Her Fortune 500 experience has included industries such as advertising, healthcare, technology, insurance, financial services and government. Lyne has a Doctorate Degree in Clinical Psychology from the California Institute of Integral Studies in San Francisco. She also has a Master’s Degree from Harvard University and a Bachelor’s Degree from the University of Ottawa. Lyne is accredited by The Coaches Training Institute and is a Certified Professional Co-Active Coach. She is a member of the International Coach Federation, the American Psychological Association, the Society for Industrial Organizational Psychology and the Consulting Psychology Division of the APA. She is Past President of the Society of Consulting Psychology and the Chair of the Society’s Fund. Lyne is also fluent in French, her native language, as well as English. She originally comes from Canada and is presently learning Spanish and Arabic. With a strong background in the behavioral sciences and international business and over fifteen years’ experience, Dr. Nora Infante, a consulting psychologist, is recognized for her proficiency in senior executive coaching, assessment, and integration in a wide array of industries. Industries include Fortune 100 companies in financial services, banking, health care, software development, education, hospitality, manufacturing, as well as law and architecture. Nora’s coaching methods prepare executives for leadership roles without sacrificing their competitive edge and achieve measurable improvement in individual and organizational well-being. Nora also counsels individuals regarding effective retirement preparedness and legacy building. Her clients have described her as a keen listener, practical, perceptive, empathetic, insightful and inspirational. Nora earned a doctorate degree in Clinical Psychology from the California Institute of Integral Studies, San Francisco, CA. She also received executive coach training sponsored by the British Psychological Association in London. She has been a Partner at RHR International and a Senior Consultant for Corporate Insights. ​deep understanding of organizational culture, practical business instincts honed by years of firsthand experience, and an exceptional talent for assessing individuals and teams. The strength of this combination enables him to provide insights that accelerate the ability of C-Suite leaders to execute their business strategy by aligning talent around key business objectives. Adam helps boards, CEOs, and senior executives transform their individual, team and organizational effectiveness, especially during times of transition and change. High potential leaders benefit from his expertise as he guides them towards roles of increasing responsibilities, helps them integrate successfully into new roles, and monitors their advancement through the succession pipeline. His knowledge of senior team dynamics transforms groups of leaders with individual objectives into cohesive and aligned teams focused on shared organizational goals. Adam has worked with executives around the world in organizations ranging from small start-up firms through global Fortune 100 companies. Sectors he has served include financial services, consumer products, manufacturing, healthcare/medical devices, retail, energy, pharmaceuticals, media and entertainment, and high tech. Adam received his Ph.D. and master’s degrees from the University of South Florida in Industrial-Organizational Psychology, and a bachelor’s degree concentrating in Psychology and Business Management from Fairleigh Dickinson University. He has twice served as the Co-Chairman of the APA D13 Mid-Winter Conference. Acknowledged as an expert on leadership development, high potentials, and organizational culture, he is a frequent speaker at business and professional meetings including the Society of Consulting Psychology and the Society of Industrial- Organizational Psychology. He recently served as Treasurer, and President-Elect for the Society of Consulting Psychology. He was also a member of their Board. Anna Gallotti is a Master Certified Coach and assessor at International Coach Federation and has 20 years experience as a coach, organizational consultant and facilitator. Her specialty is coaching international executives and developing organizational change projects. She has contributed, among others, to the creation of a corporate university for 1600 bank leaders (total budget: 3.5 million Euros), as well as international programs on leadership and feedback. She has also coached executive teams on creativity and definition of future strategies. Anna is Italian, she spent the first 25 years of her life in Milan, the following 20 years in Paris, and currently lives in New York. She is currently working both in the United States and in Europe. She speaks English, French and Italian fluently and has a good knowledge of Spanish. Anna’s passions in her work are to uncover the meeting point between humanity and the tension in attaining objectives; the complexity of situations, albeit with the certainty that a solution can always be found; leading her clients to explore the realm of possibility by challenging preconceived ideas and the pleasure of working with clients who have chosen her and whom she has chosen. ​Her clients say that she can reach quick results by getting the right starting point through “weak signals”: the most efficient and economically sustainable. They also say that she is a challenger of assumptions on company culture and personal preconceived ideas. She has a real international profile and knowledge and experience working internationally. Lens' research and work in executive training and development emphasizes the use of Emotional Intelligence both as a personal development tool and organizational leadership skill. He has worked with senior management teams in the creation of socio-technical systems development. He also has been a private consultant with major insurance, banking, healthcare, and software companies in the area of change and stress management. Len’s specialty of Organizational Development and Training has spanned over a period of fifteen years both under the employment of United Technologies Corporation as well as a private consultant in his own and shared business pursuits with colleagues. His most recent work has been in leadership effectiveness through his implementation and coaching utilizing assessment instruments in emotional intelligence. Mr. de Vihil is a Consultant and Executive Coach. He has expertise in guiding leaders towards their true purpose, passion, and vision within a variety of different industries, cultures, and global geographies. ​He leads with singular purpose focused upon the “Why” embedded in leadership agility. Mr. de Vihil typically coaches within the context of all things relational. He targets aspects such as emotional intelligence, self-awareness, people agility, effective communication, as well as a variety of other topics such as authentic leadership, cultivating trust, honesty, and vision. Prior to consulting for Desormeaux Leadership Consulting, Mr. de Vihil’s professional history includes leading a team of coaches at a human capital consulting firm, where he also delivered coaching to executives. Mr. de Vihil has over 10 years of leadership development, facilitation, and executive coaching experience coaching in the Luxury retail, healthcare, pharmaceuticals, financial services, high tech, academia, non-profits, and medical devices industries. Representative clients include Johnson & Johnson, Becton Dickinson, Ralph Lauren, National Grid, Exxon, Tiffany & Co. and Purdue Pharma. Mr. de Vihil’s achieved results are exemplified in the course of a leadership training with a Senior Vice President of a global financial firm. This SVP was asked to lead and inspire a new team of bankers. The SVP began with relying upon those skills, traits, and personality preferences that made him a “star” in the context of the individual contributor, prior to leading the team. Mr. de Vihil helped the SVP go from his comfort zone, to increasing his insight, awareness, and overall people agility to truly inspire, appreciate, and engage in new ways with the team of bankers. On another occasion the Vice President of a luxury retail organization was transitioning to a new business unit with a very different culture than the prior area of specialty. Mr. de Vihil coached this VP through the process of letting go of a prior culture, preserving key aspects of his overall leadership style, while acquiring new skills that got this VP perceived as a much more engaged, competent, and transformational leader. Mr. de Vihil obtained his Doctoral and Master’s degree in clinical psychology from California Institute of Integral Studies and received a Bachelor’s degree in international business and marketing, New York University’s Stern School of Business. He also has a Certificate in Japanese business management, Sanno Institute of Management. Mr. de Vihil is certified as a coach by the Executive Coach Academy and is a member of the International Coach Federation. In addition to his role as Consultant and executive coach, Mr. de Vihil maintains a part-time private practice as he is also a licensed clinical psychologist working with adults. 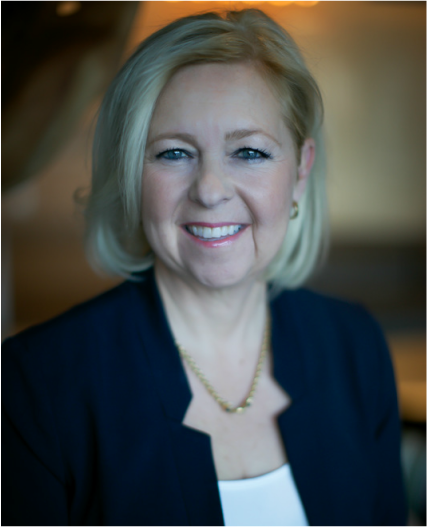 ​Colleen C. Bastian, Ph.D., PCC offers extensive experience and expertise as an executive coach and organizational psychologist. Her background in leadership development, group dynamics, assessment, and behavior change enables her clients to reach their greatest potential. Colleen also specializes in diversity and inclusion (e.g. gender diversity), generational gaps in the workplace (e.g. millennial retention), and human performance (e.g. energy management). Prior to becoming an external organizational consultant, Colleen's business experience included working as an internal coach at eBay Inc. At Pfizer, she was a senior sales representative and held a leadership position in hospital and specialty sales plus served as a regional Leadership Council representative. Colleen's clients included business leaders at Cisco, eBay Inc, Gap Inc, Humana, Northstar, Northwestern University Kellogg Executive MBA Program, Old Navy, PayPal, Pfizer Inc, PricewaterhouseCoopers (PwC), and Ultimate Software. She has worked with leaders in a wide array of industries and levels which include professional services (auditing, tax, and advisory), healthcare, finance, marketing, technology, and sales departments. She also has extensive experience working with medical professionals in hospitals and doctor’s offices. Furthermore, as a senior level executive coach, Colleen supervises many of her colleagues in their coaching engagements. ​successfully worked with leaders, teams and C-level executives across different industries and geographies. ​She approaches coaching as a trusting conversation, and uses a wide range of skills and tools to move the learning along. Her style is best described as challenging, intuitive and business focused, with an emphasis on leadership growth. When coaching, Patricia engages in impactful conversations with lasting outcomes. Clients appreciate her pragmatic approach, her corporate understanding as well as her focus on concrete results.Her clients include the "Big 4" consulting firms, Fortune 100 companies, European Institutions, private sector corporations and high-net-worth families. Some of them are: Atoz Tax Advisors, Allen & Overy, Deloitte, European Commission in Luxembourg and Brussels, European Court of Justice, European Investment Bank (EIB), European Parliament, Ernst & Young, Fidia Pharma, KPMG, Lombard International Assurance, MDO Management Company, MNKS, PricewaterhouseCoopers (PwC), Roche, and UBS. Patricia holds a Master of Arts (MA), in International Business from the University of North London, a D.E.S.S. Affaires Internationales from the Université de Savoie (France), and a Maîtrise de Commerce Extérieur (International Commerce) from Université Blaise-Pascal (France). She is a Professional Certified Coach with the International Coaching Federation, MBTI, FIRO-B, NEO PI-R and TKI certified, and Patricia is currently earning her Ph.D. in Organizational Psychology. Patricia is also invested in mentorship with the National Association of Professional Women (NAPW) and Everwise, a company whose online services connects "protégés" with mentors. She is a member of the International Coach Federation, the Association for Talent Development and the Association for Coaching Excellence. Patricia has lived in Southeast Asia, Europe, the US, the Caribbean and the Middle East. Patricia is a dual citizen of France and the United States. She works in both English and French, and currently lives in New York City. ​and Management Consultant with over 15 years of international experience (North America, Africa, Middle East, and Europe) shared among Project Management, University Teaching, Personal Coaching, and Executive & Team Coaching. 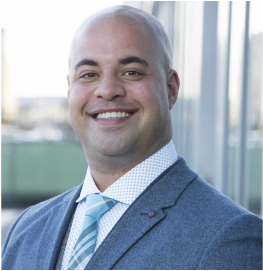 Kodi has acquired management experience through professional practice in the commercial and governmental fields where he played important roles in the success of many projects – IBM Canada, CGI Canada, Bell Canada, Inkript Technologies, Republic of Central Africa, etc. A certified Post-Master Coach, Kodi’s passion for the human being excellence, and his profound belief in the ability of each human to achieve what they really want, led him to train in the Neuro-Linguistic Programming and to study Solutions & Action oriented coaching, which specializes in helping individuals, corporations and teams make desired changes happen in the most effective way. Kodi speaks and writes in English, French, Arabic, Portuguese, & basic Spanish. Kodi is a compassionate coach. He is open and has a wide understanding and experience in varied cultural backgrounds. He excels at accompanying humans in different settings and corporate environments in conflict resolution, leadership development, emotional intelligence, and optimizing potential. In the academic world, Kodi teaches a variety of business and communications related courses. As a professional trainer he delivers varied customized topics as per the organizations’ needs. Kathy, a “Positivologist”; seeks to find opportunity in challenge, and helps her leadership clients to do the same. She is very process driven- but solution-focused; using her Psychology background to understand human behavior and potential, and help clients’ surface strengths and obstacles, and implement action plans for success. Kathy has over 30 years of experience developing and supporting leaders in many industries. She was an Executive coach for Deloitte, where she was a member of the Career Connections team; coaching Senior Leaders around issues related to professional and personal development. Kathy loves teaching and sharing knowledge; helping to spread strength-based approaches to those with whom she interfaces. She has 10 years experience as a lead trainer for an internationally accredited Coach Training Institute and has co-facilitated a mentor program for coaches seeking their International Coach Federation credential for the past 8 years. She has designed and delivered hundreds of corporate and non-profit trainings and has expertise in helping leaders to hone their presentation skills, covering both design and delivery. She was a consultant for Rutgers University, and continues to train for the Non-Profit Help Desk in New York, where she is head of Executive Coaching. She also trains for the London-based Inspirational Development Group, and is an active member of the Arden Coaching Team. Kathy received a certificate in NeuroPositive Research and Applications through the Applied Neuroscience Institute in California. 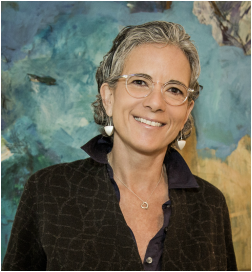 She incorporates many powerful approaches in her coaching, including Appreciative Inquiry, Neuro Linguistic Programming, Accellerated Learning, neuro-plasticity research, and Positive Psychology. She founded and co-hosted The Positivity Project a comprehensive telesummit of world experts in the application of Positive Psychology leadership skills to personal and career development. Kathy sees fun and humor as an important component of everything she does, and is dedicated to creating more personal and global optimism, happiness and positivity! Neal delivers executive coaching, leadership, OD and meeting facilitation to senior and high potential talent. As a seasoned facilitator of talent, Neal helps clients meet and exceed challenges that limit their ability to perform, engage appropriately, manage priorities, develop new skills, accelerate performance, align execution with strategy, communicate with power and presence, and motivate teams. Starting in sales, Neal moved up through the ranks in a variety of roles with such brands as Honeywell and Esselte Pendaflex. He knows what it means (and feels like) to be on the firing line. As a senior executive leading sales and marketing functions, he led comprehensive change management initiatives that drove innovation, reset roles, expectations and interdependencies. Neal facilitates both 1:1 executive assessments as well as executive assessment centers designed to evaluate skills and readiness for future roles. Neal promotes collaboration and positive culture in even the most complex and confusing environments. Neal works with coaching clients to transform aggressiveness into assertiveness and insensitivity into a keen awareness for applying emotional intelligence. Neal works primarily with senior leaders and teams, C level, SVP, VP and MDs, in such functions as sales, marketing, human resources, supply chain, production and operations. Clients are empowered to identify their managerial goals, create strategies and execute behaviors that improve productivity, focus and competitive advantage. Neal has an exceptional ability to identify the key issues, connect with clients, develop strategies to shift and execute to meet the objective. He ensures that the human resources business partner and direct manager are kept up to date on his clients’ progress. Neal has developed hundreds of people in such diverse roles as VP of sales & marketing, marketing consultant, sales manager, product marketing manager, sales representative, trainer, facilitator, and branding expert. In his last leadership role, he led an extraordinary revenue increase from $18 million to $48 million dollars in five years. As a seasoned consultant, Neal ggraduated with a B.S. from The College of New Jersey, and a M.B.A. from Syracuse University. He received certification from the Hogan Personality Assessments and the Honeywell Sales and Management Institute. He is currently in the process of receiving certification from ICFasMCC (Master Certified Coach).